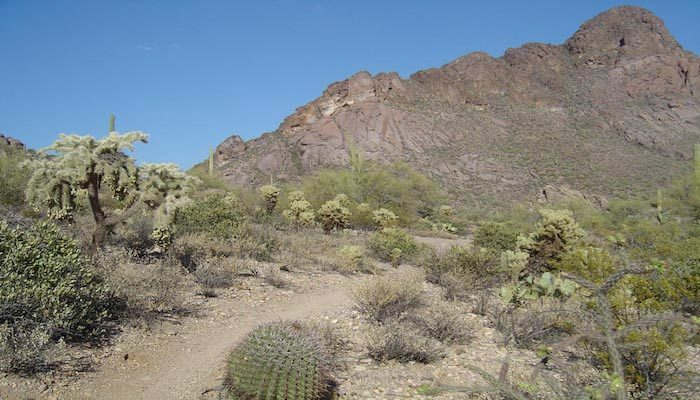 There are wonderful, open trails in Tucson Mountain Park, about a ten minute drive east of Tucson. The Marriott Starr Pass Resort is located at the gateway of the trails. There are numerous options here — many of them more modest for trail running. The Starr Pass Trail Loop is a beautiful 4.7 mile run, that is good for all running levels. Offering hills, relative flats, and varied terrain, the trail is regarded as especially beautiful in the mornings and evenings, featuring views of Tucson and Mt. Lemmon. If you’re a more advanced runner, and looking for something a bit more challenging, there is an 8 mile loop, that extends off the trail. Note that if you’re visiting Tucson in the summer, you want to carry plenty of water and avoid mid-day runs, because there is little shade on this trail. Nice post. I find out some thing extra difficult on diverse blogs everyday. It will always be stimulating to read content material from other writers and practice a little one thing from their shop. I’d prefer to use some with the content on my blog regardless of whether you don’t mind. Natually I’ll provide you with a link in your net weblog. I am only commenting to make you know what a incredible experience our girl encountered browsing your site. She figured out so many things, most notably what it’s like to possess an ideal helping spirit to have the mediocre ones effortlessly gain knowledge of a number of tricky issues. You undoubtedly surpassed our expected results. Thanks for churning out these important, trusted, informative as well as unique tips on your topic to Gloria. Please let me know if you’re looking for a author for your blog. You have some really great articles and I believe I would be a good asset. If you ever want to take some of the load off, I’d love to write some material for your blog in exchange for a link back to mine. Please blast me an e-mail if interested. Kudos! Valuable info. Fortunate me I discovered your website accidentally, and I am surprised why this coincidence did not took place earlier! I bookmarked it. Hello there I am so excited I found your weblog, I really found you by error, while I was researching on Aol for something else, Anyhow I am here now and would just like to say thank you for a remarkable post and a all round enjoyable blog (I also love the theme/design), I don’t have time to look over it all at the minute but I have bookmarked it and also added in your RSS feeds, so when I have time I will be back to read a lot more, Please do keep up the excellent job. You can find some interesting points in time in this write-up but I don’t know if I see all of them center to heart. There’s some validity but I will take hold opinion till I look into it further. Great article , thanks and we want additional! Easy access can be found at the JW Marriott Starr Pass or the Gensler Trailhead, near the famed Starr Pass golf course.